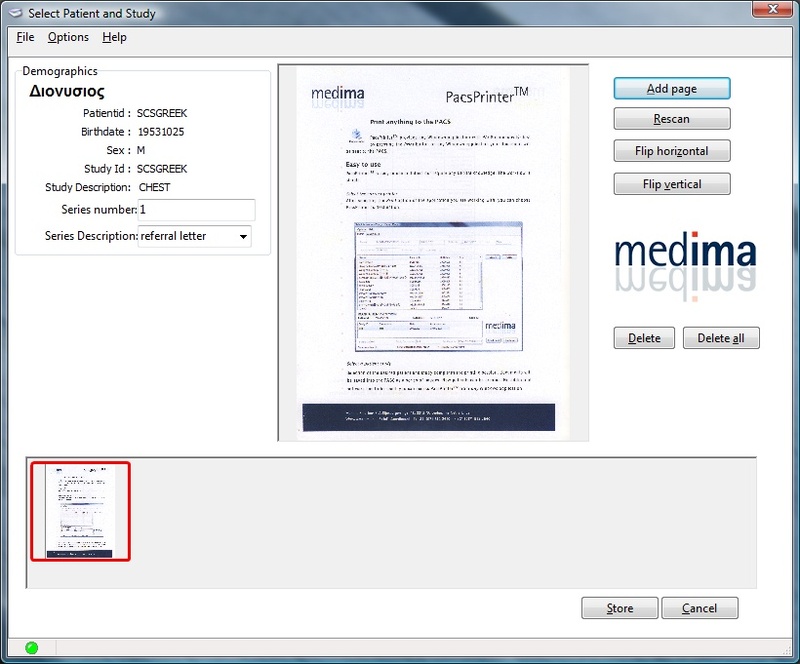 PacsScannerTM scans a paper document and stores the pages as a series of images in your PACS. These documents can be anything: insurance cards, lab reports, handwritten notes, etc. In this way all patient information is conveniently available at every PACS workstation for instant retrieval. 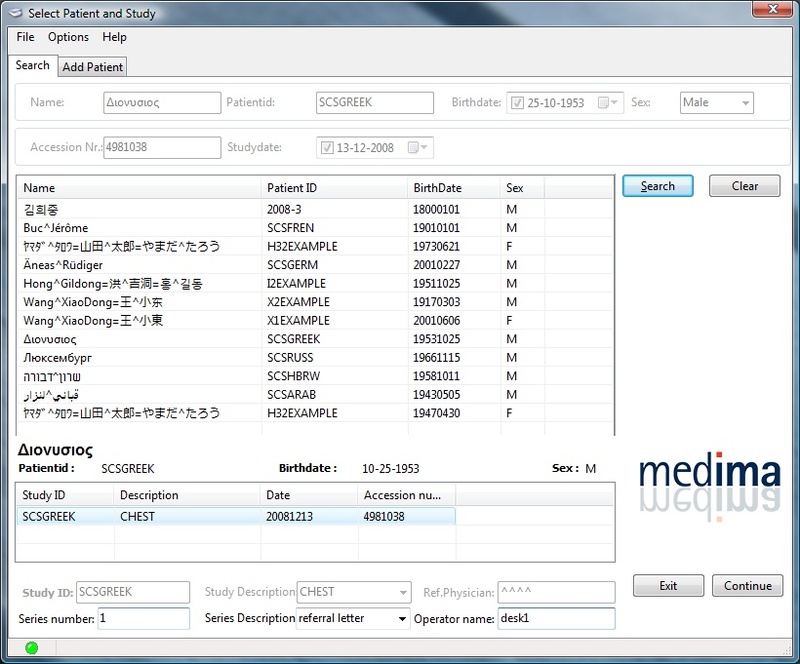 PacsScannerTM is easy to use and does not require any DICOM knowledge. The workflow is simple. The patient list is populated with studies from the PACS. Searching is made easy by selection of studies through common demographic filters. All the most common scanning option are present; images can be flipped with full support for black and white and color images. More pages can be included in the same image series. Support for internationl charactersets PacsScanner recognizes and displays all the fonts: arabic, chinese, cyrillic, etc.